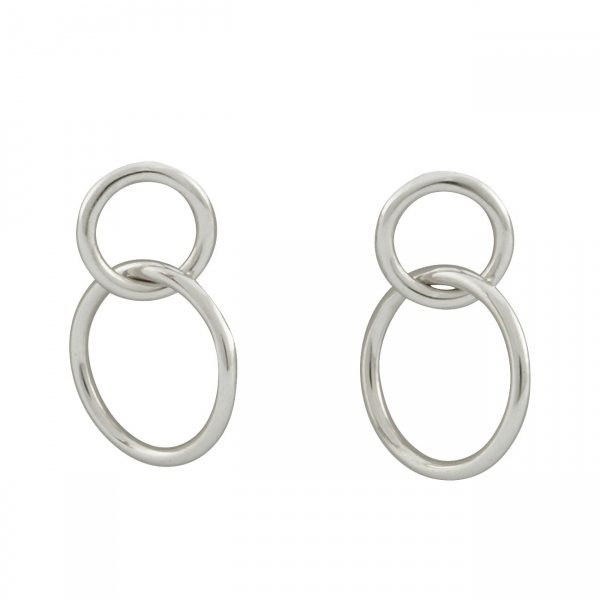 Literally linking the hip, downtown-chic spirit of hoops and the bold sophistication of door knocker drops, these petite earrings fall somewhere in between with a ring hooked through smaller open-circles. Easy-to-match 925 sterling silver and a delicate size mean these earrings won’t hog the spotlight so you can still wear the vivacious (or subdued) prints you prefer. Make these earrings a sassy contemporary replacement for your usual studs or hoops. 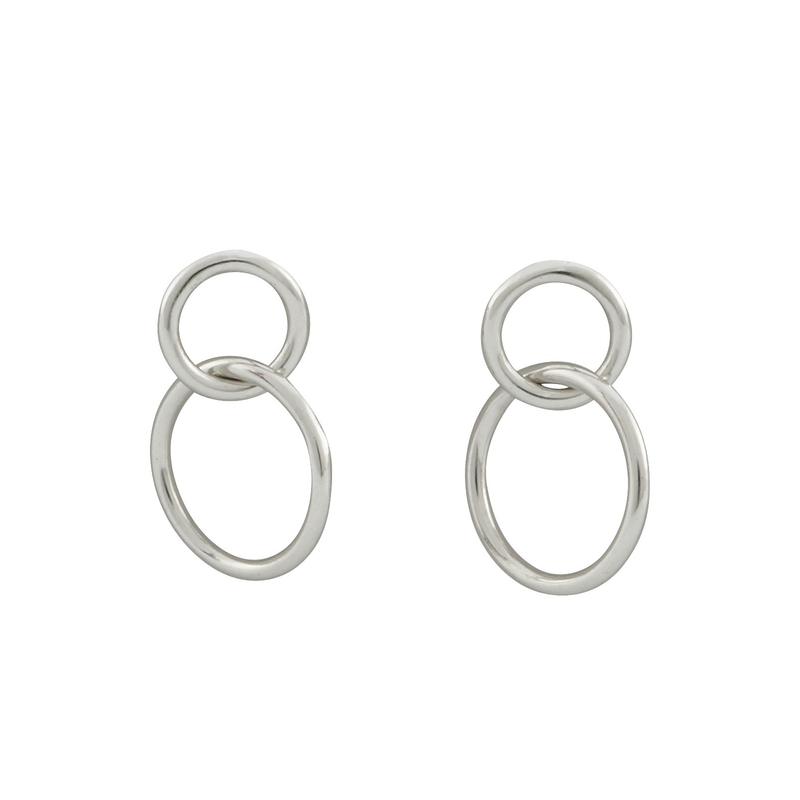 Is it possible to get these earrings in vermeil? Hi May, this one is only available in sterling silver, but we will have more hoop earrings coming in either gold vermeil or gold filled.